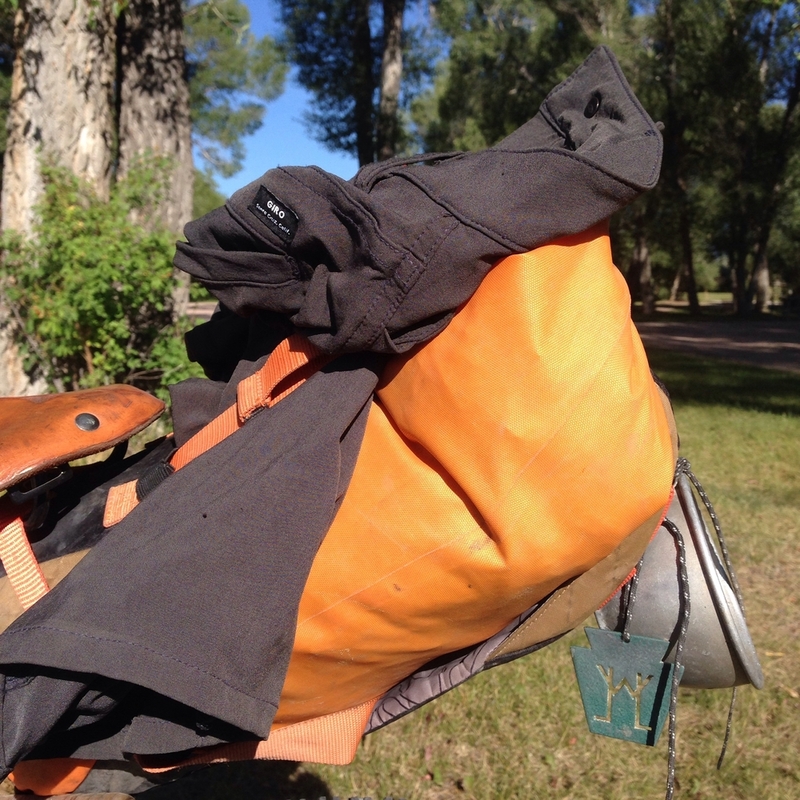 As usual, I'm sure this post is not going to be news for many experienced bikepackers, but for those of you who are looking for clues, I hope this can contribute to your personal solutions to staying clean in the backcountry. Good hygiene is especially important for cyclists... And even more so for cyclists who don't have regular access to showers. Bikepacking presents its unique set of challenges and opportunities. On one hand, you often don't have access to showers... Or they are overpriced at campsites. On the other hand, you are more likely to be in a remote place off of a trail and close to a natural body of water. I'm not a doctor or a professional bikepacker (no such thing), but I've been on the trail for a month and found the following things to be successful and important to staying somewhat clean and saddle sore free. Wash your bike shorts every day and hang them to start drying overnight! Bring two pairs of bike shorts. You want to be able to clean one pair after riding and have a fresh pair to put on the next day while the other pair dries. Clean your bike shorts after every day of riding, no matter what. Use a gentle soap like Dr. Bronner's to suds up the chamois and upper leg area. If you don't have soap, at least rinse it in water. The point is that your trying to clean off the sweat and bacteria that may have formed in your shorts over the day. I suggest mechanical agitation as well to get rid of bacteria. Clean yourself with soap and water. What's the point of cleaning your bike shorts if you don't clean yourself? If I'm at a place with a sink, I'll use a camp towel or even just paper towels in a system of damp towel, suds-y towel, and then damp towel to "spot clean". As base as this sounds, this can be done discretely in the bathroom of any lodge or restaurant. If you're near a water source in the backcountry, do the same using the free available water. I'm sure some of you will want to suggest individual disposable wipes (like baby wipes or special backpacking wipes). This may be all fine and good, but I opted to not carry the extra weight because I didn't like the idea of a film or residue being left by a wipe. I've never not been able to "freshen up" at the end of the day so far. You need water to drink or cook every night... So you usually have enough water to clean. If water is scarce, alcohol based hand sanitizer works on other parts of your body than just your hands. Put your toothbrush/ toothpaste somewhere convenient. There's nothing more annoying than getting ready for bed and realizing your toothbrush is buried somewhere in your pack. You're more likely to skip it that night than unpack. Leave it in an handy spot. Eating a lot of candy, dried fruits, sticky granola bars, etc. on the road probably wreaks havoc on ones teeth, and so it's even more important to brush. Alcohol based hand sanitizer works for other parts of the body in a pinch, tea tree oil and neosporine are good for saddle sores, and Dr. Bronner's (shown here in a soft bottle) is a good, mild, soap for cleaning yourself and your clothes. Neosporine and Tea Tree Oil will help mend saddle sores. Tea tree oil is a good anti-fungal, anti-bacterial and astringent. Apply after washing with soap and water followed by some neo or poly-sporine. They should improve noticeably overnight and really improve over a rest day. Alright. That about wraps it up on the hygiene front. It's off to bike Colorado! I'll be posting about Wyoming and the Wyoming basin soon enough. Shorts drying on the back rack after washing.